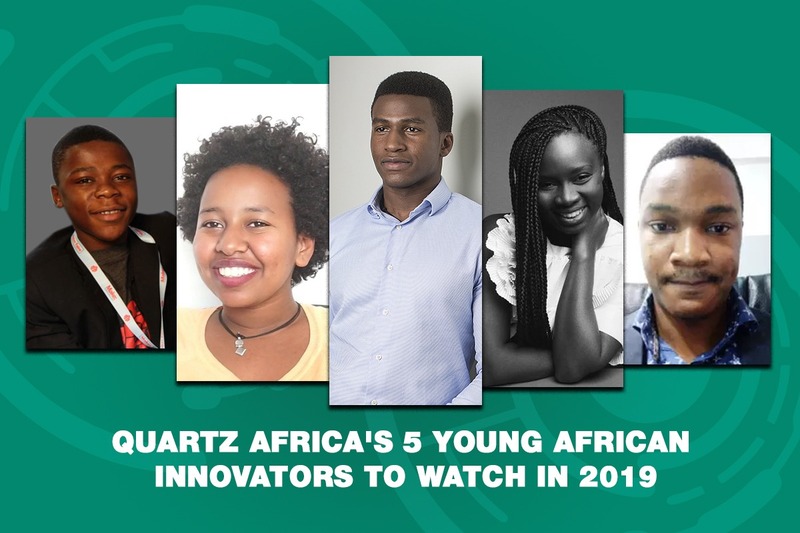 Quartz Africa handpicked its young African innovators to watch out for in 2019. QZ has had its focus on innovators who are disrupting the African tech ecosystem. This annual anthology did not just start today, it had released lists in 2015, 2016, 2017 , 2018 and now, the 2019 list is here. They include Sarah Diouf (Senegal) – founder of ready-to-wear brand Tongoro, Betelhem Dessie (Ethiopia) – a 19-year-old developer advocate, Kelvin Doe (Sierra Leone) – a techpreneur working on solar energy inventions, Silas Adekunle (Nigeria/US) – founder of Reach Robotics, pioneer in gaming robots and Elvis Chidera (Nigeria) – software engineer. These individuals were ranked per a criterion of technological innovation across the continent and also, they’re are all under 30. She works with iCog, a robotics and artificial intelligence laboratory based in Addis Ababa, the 19-year-old Ethiopian is leading the pack to ensure artificial intelligence innovation and coding becomes mainstream amongst young Ethiopians. Betelhem spearheads numerous projects like Anyone Can Code, focused on teaching pupils aged between six and 13 the basics of artificial intelligence and Solve IT, a project that drives teenagers to develop tech-based solutions to solve problems in their neighbourhood. A techpreneur working on solar energy inventions. His interest for toying with electronics and electrical parts from scrap-yards in his local Sierra Leone at tender age saw him go beyond a self-taught engineer to becoming the youngest person to participate in the Visiting Practitioner’s Program at Massachusetts Institute of Technology and giving TEDx speeches. The 22-year old genius has grown in leaps and bounds since and has established K-Doe Tech. He also continues to support youthful people in Sierra Leone, providing educational resources and tools as well as hosting workshops. Silas Adekunle’s profile has risen over the past year courtesy of a robot he made himself. With a first-class degree in Robotics graduate from the University of West England, the Lagos-born engineer founded Reach Robotics and is a creator in gaming robots. His robots have been established big enough to seal exclusive sales deal with Apple stores and have seen Reach Robotics secure $10 million in funding. Adekunle is just 27 and he started small, causing power outages playing with batteries while growing up in Nigeria. The founder of Tongoro, a ready-to-wear brand aims to fill a gap by offering an inexpensive African label in a market dominated by foreign brands. The Dakar based fashion brand was pioneered In 2016 and has a range of African print-based blouses, skirts and a popular Mburu handbag on the way. Tongoro is hoping to increase its footprint in major African cities after breaking the first year, largely with her strong customer base into the United States—including Beyonce—and the United Kingdom. Tongoro is a solely made-in-Africa fashion brand, sourcing its materials across the continent and contracting local tailors. Elvis believes that the lack of essential resources is not always a limitation. The 19-year-old self-taught software engineer studied how to code on a feature phone with very limited functions while growing up in eastern Nigeria. Currently, Chidera is working with dot Learn, an MIT-backed start-up focused on easing access to online education by providing data-lite resources. He has a passion for education as he has demonstrated with the PrepApp, an exam preparation app for students which has been installed over 35,000 times.